Is there ANYTHING better than Texas? As if that is even a real question. There is so much to love about our great state and that is why I am honored to announce my partnership with Ozarka® Brand Natural Spring Water. Together we have created a special, locally focused, Texas pride-filled picnic that I just had to share with all of you. It is no secret that on top of loving Texas, I am utterly obsessed with Dallas. After all, my name says it all, right? In Dallas it just seems like there is always something to do. We have beautiful parks, amazing pocket neighborhoods full of things to explore and, of course, an incredible food scene. Over the last few years, the Dallas food scene has really stepped up their game so I decided to create the perfect picnic spread using some of my personal local area favorites with the help of Ozarka® Brand Natural Spring Water‘s favorites, too! Just like unique fresh Texas taste that Ozarka® has, all of the products that we chose do as well. And while they may not come from three Texas springs like Ozarka® does, we promise they are equally as great in their own right. As I mentioned, this picnic was a group effort so Ozarka® sent along some of their favorite local to Texas products for me to include at my picnic. Cookwell & Company Queso because what party in Texas doesn’t include chips and queso? For my additions to the picnic goodies, I decided to keep my products local to our great city of Dallas. Of course, the star of the show was an ice cold bottle of Ozarka® Brand Natural Spring Water. 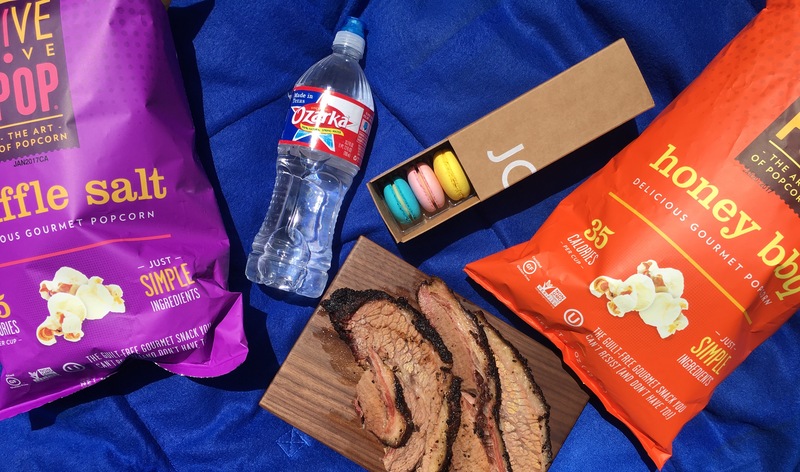 Between the spicy sauces and dips, sweets, meat and that Texas heat, our picnic was only made better by the taste of that delicious Ozarka® water! I just know these pictures from our picnic have your stomach growling and your mouth drooling so here is a challenge for you. 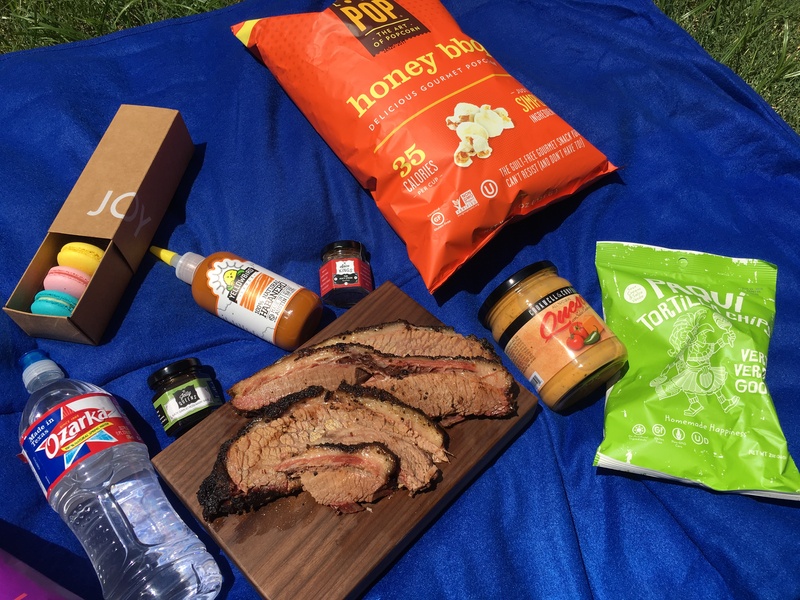 Re-create our #FromHereForHere Texas themed picnic using the products we did with the addition of some of your own personal favorites and be sure to tag @OhHeyDallas and @OzarkaSpringWtr. 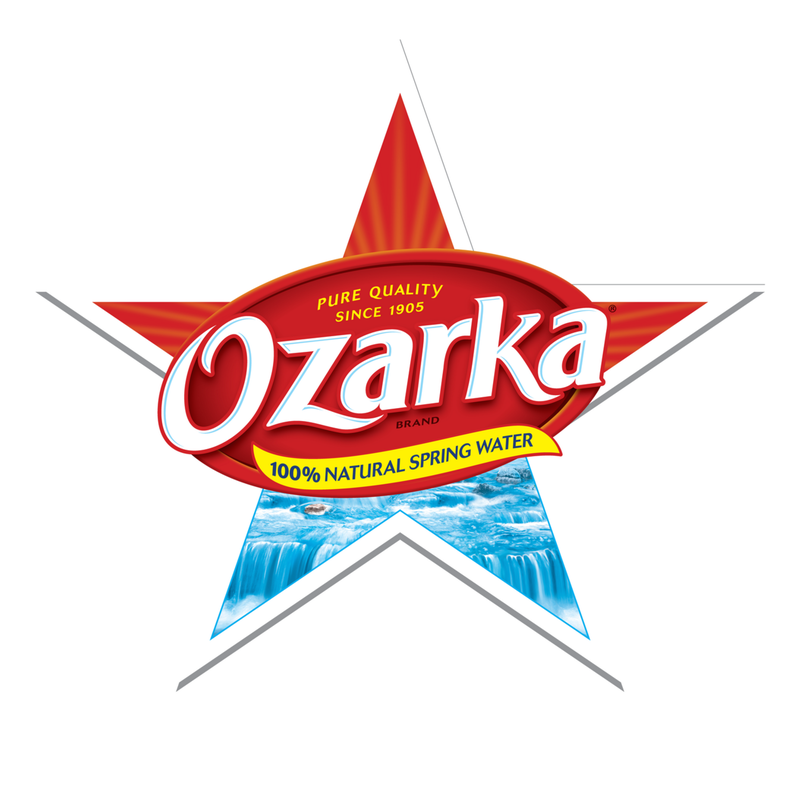 Don’t forget though, no Texas picnic is complete without Ozarka® Brand Natural Spring Water!